Brighton and Hove CCG are starting their consultation on our Sustainability and Transformation Plan process. 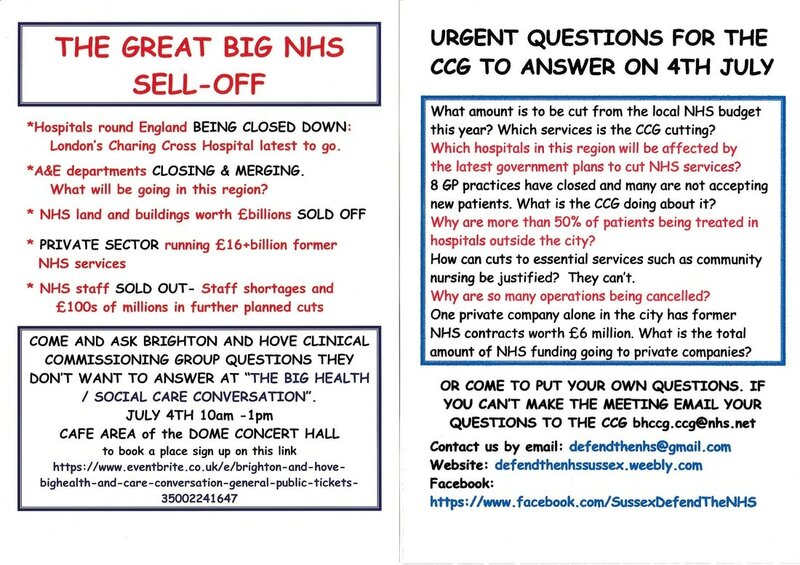 Sussex Defend the NHS have prepared some thoughts and questions. The event is 'sold out' but please don't let that put you off exercising your democratic right to have your say on plans for your health care. 10-1pm, cafe area of the Dome.